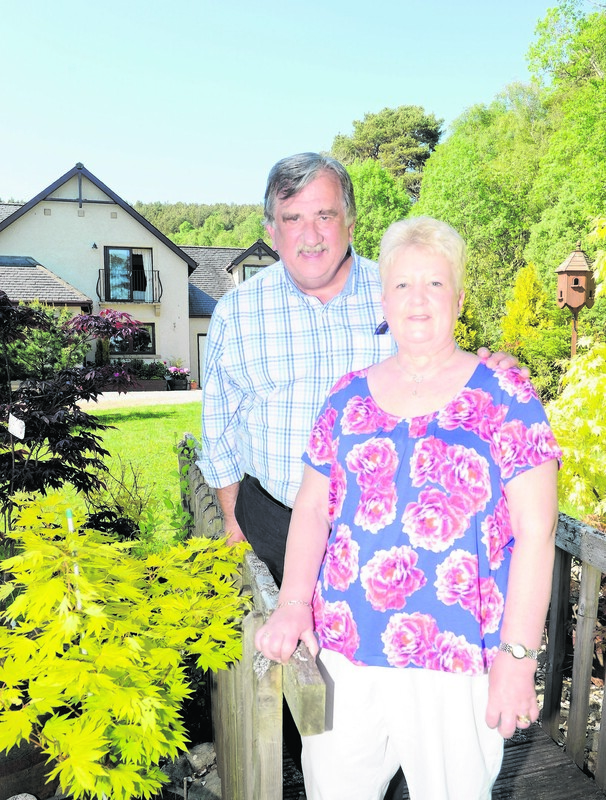 It has been more than a decade since Dennis and Arlene Perkins moved to Torgormack in Beauly near Inverness – and their relocation to Scotland was the start of a rather special adventure together. The couple have been married for 45 years, and after decades of hard work, not to mention raising a family, they decided the time was finally right to enjoy retirement together. They’ve certainly made the most of their beautiful five-bedroom family home which they bought brand new, after a stint of living on the west coast. 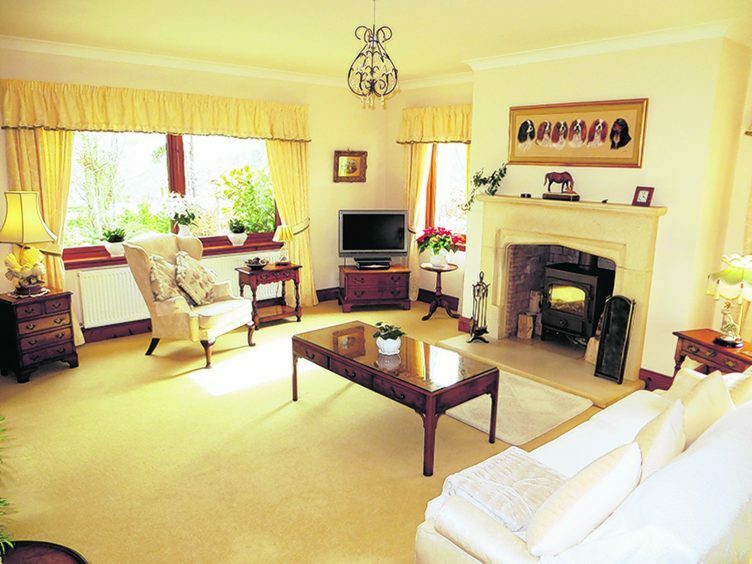 Surrounded by beautiful landscaped gardens, Torgormack has been their very own slice of paradise. But with the arrival of grandchildren, Arlene and Dennis are yearning for home in Worcester. “We’ve been so happy here but Arlene feels she’s missing out on time with the grandchildren now, we’ve enjoyed our adventure but feel the time is right to move on now,” said Dennis, who was in the police force for 30 years, while Arlene worked as a ward clerk for the NHS. “We got fed up of living on the west coast but when we saw this house, we just loved it. From the moment you walk through the door, it’s clear this is a house which has been treated with some TLC and elbow grease. 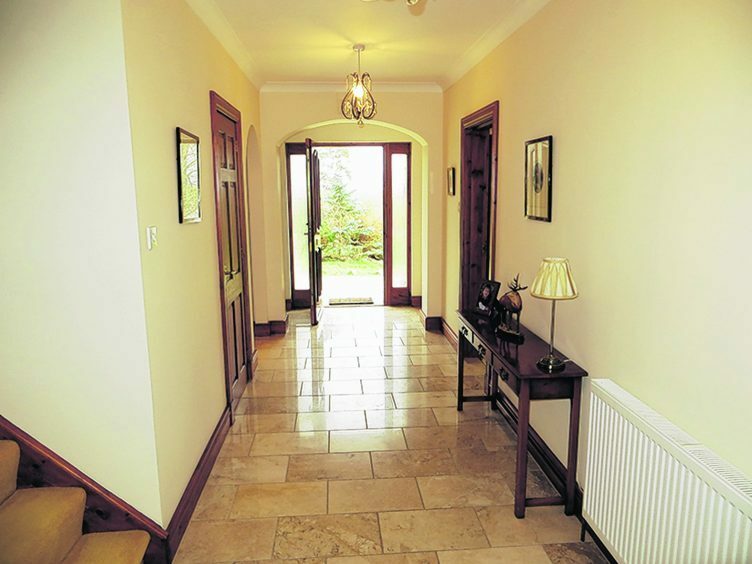 The spacious marble hallway is modern and has a lovely sheen, no doubt because it has been lovingly maintained by Arlene. The hallway provides access to the sitting room which has dual aspect windows, offering beautiful views over the gardens. A fireplace with wood burning stove is another lovely feature, and keeps this room cosy come the winter. Double doors open up into the dining room, and this has been a fantastic space to entertain guests over the years. 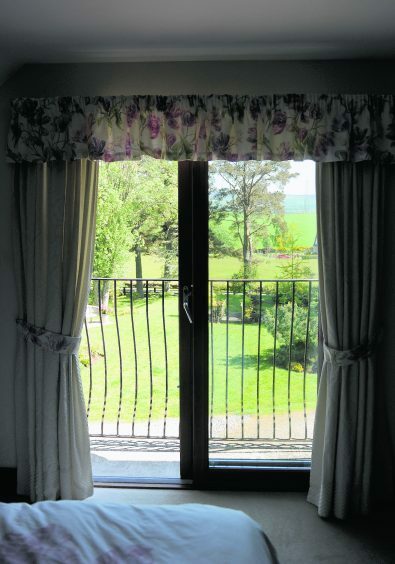 Glass sliding doors open up to a sun terrace, perfect for al fresco fining in the summer months. 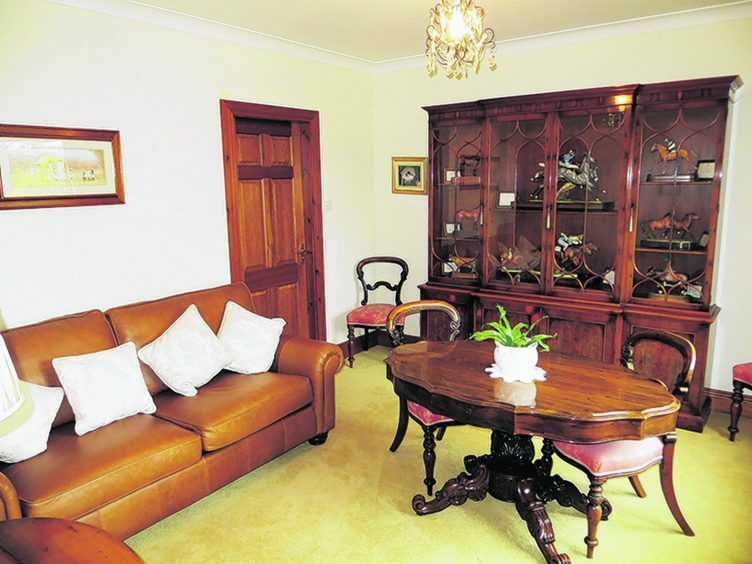 “We love the amount of space on offer, Arlene often sits in the lounge – I’m sports mad so I often have the cricket on the TV in the kitchen,” said Dennis. 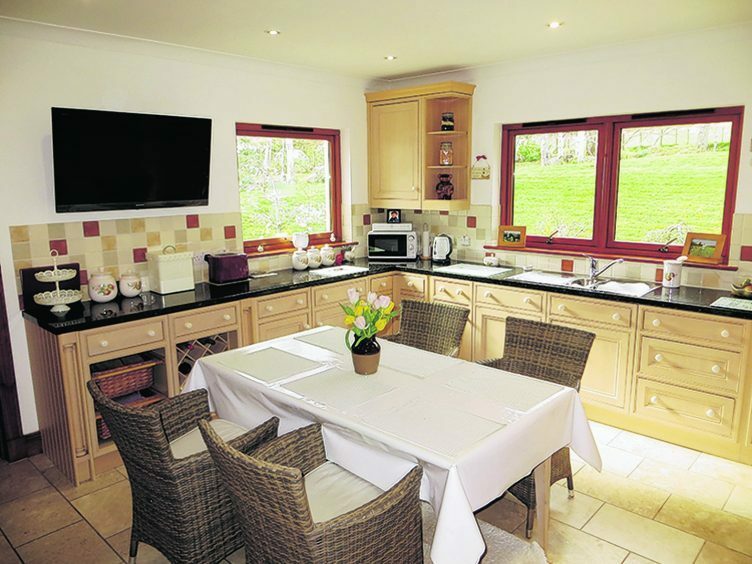 The kitchen boasts modern appliances and under-floor heating. There is plenty of space for dining furniture and there are lovely views across the gardens. Completing the ground floor is a double bedroom with en-suite shower rooms. Head upstairs where there are four large bedrooms, three of which are en-suite. The en-suite master bedroom is the jewel in the crown, complete with a Juliette balcony and walk-in dressing room. 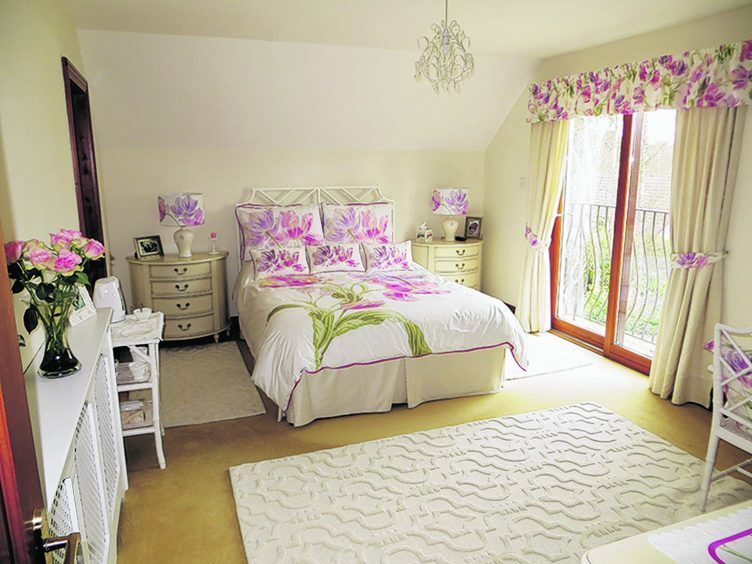 “I’m really going to miss our master bedroom and we couldn’t quite believe that we had so many en-suites,” said Arlene. It is the gardens which make Torgormack extra special, as they have clearly been lavished with love over the years. Landscaped and filled with a variety of trees and shrubs, there are plenty of al fresco dining opportunities. There is also a double garage with workshop and parking for several vehicles. 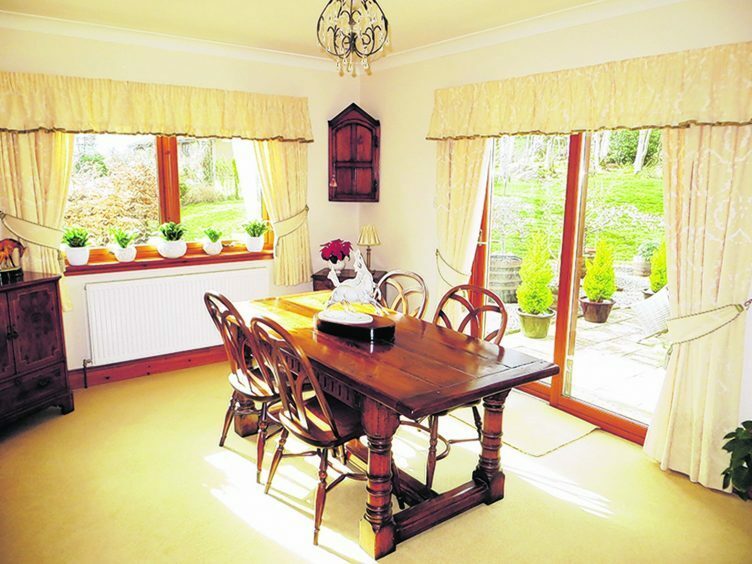 The couple have loved the surrounding area with Beauly only a short drive away. 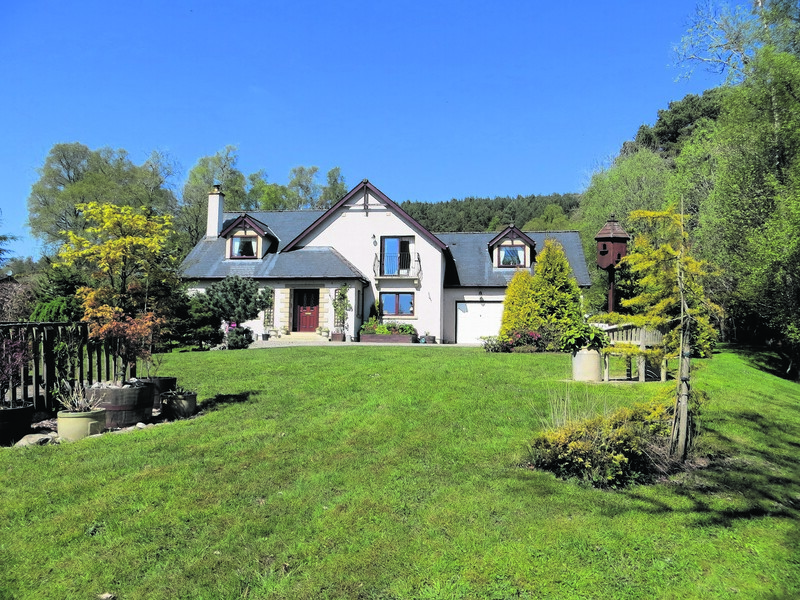 “We’ve been perfectly located really, it’s lovely and quiet here but we’re not that far from Beauly and then there’s Inverness and the airport,” said Arlene. “It has been so handy and the surrounding area is beautiful. “We’ve had a brilliant time here because this was a chance to do something for us after our children grew up and went to university. Offers should be made in excess of £410,000. Contact Strutt & Parker on 01463 568033.